Download now to play the right way. Blueprint Athletes focuses on basketball fundamentals and developing positive player habits that every coach wants to see. 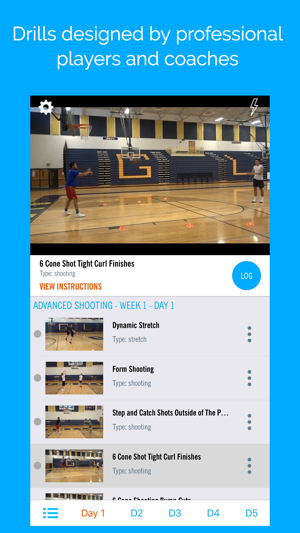 1) we help student athletes of all ages with structured workouts to improve their basketball skill level and also built in tools to develop healthy habits like accountability and perseverance. 2) one of Blueprint's founding principles is to help student athletes become well-rounded individuals. Our team-based features will encourage them to improve communication skillsets, teamwork abilities, and grow socially. You are more than an athlete! We are going to help you to create a positive work mentality and healthy habits that can be used in all aspects of your life. Hi my name is Jon Horford, I played D1 basketball and am a professional basketball player. 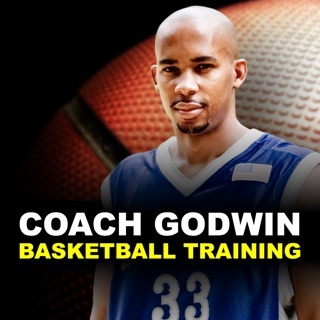 Basketball has helped me to open doors beyond what I thought possible. Growing up I knew that if I didn't earn a full scholarship that I wouldn't be going to college. I was fortunate enough to have the resources that ultimately enabled me to earn a scholarship, but the path to get there could have been made easier had I known then what I know now. I realize that the road is different for every child, but some aspects will be consistent. This is why I created Blueprint, to help student-athletes succeed athletically, academically, and socially! *We're offering a Summer Discount of 30% off. Monthly subscriptions are NOW only $6.99USD/Month and yearly subscriptions are Now $69.99USD/Year. Your subscription automatically renews unless auto-renew is turned off at least 24 hours before the end of the subscription or free trial, and your credit card will be charged through your iTunes account ($6.99 for a month, $69.99 for a year long subscription). You can turn off auto-renew at any time from your iTunes account settings. Any unused portion of a free trial period, if offered, will be forfeited when subscription is purchased. Your subscription can be managed/cancelled from user’s Account Setting in iTunes after purchase. Allow full screen mode for videos. Fixed typo with career percentages. Great for any player level.. This app is amazing. It helps not only basketball players but players of other sports with the importance of practicing and exercise. The drills displayed are easy to understand to demonstrate. 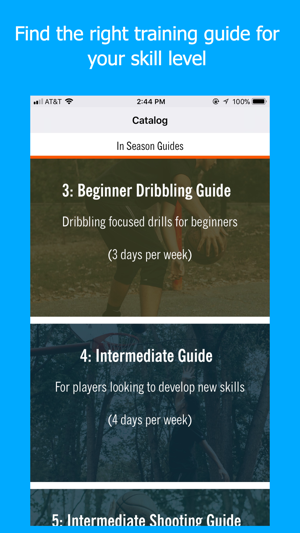 This app is also featured on instagram and you have the ability to not only ask questions but to get further advise on drills, skills, plays, and other factors. I highly recommend this app for any level of player. This is not for just beginners. Thank you for creating this app and making it so easy to understand without going through many pages to get to the areas I’m looking to improve. 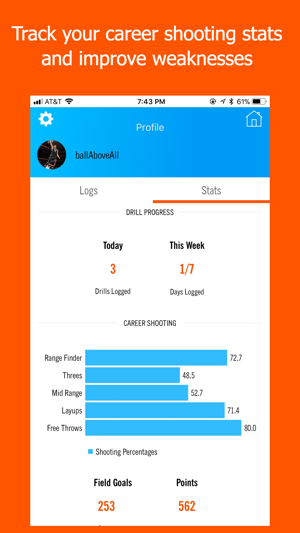 This app has helped me tremendously improve my game. If you consistently follow the guides and videos, I believe it can significantly improve anyone’s game. I used it last summer and my points per game went from 6 to 16! And not only did it help my scoring, but it helped me with my ball handling, my footwork, my basketball IQ, my work ethic, and my overall perspective of the game. All I had to do was trust the app and buy into it. My 13 year old uses it and LOVES it! He said it’s easy to use, he likes that it shows his percentages of his shots, and he loves the quotes it sends!! I like that it gives him things to work on everyday and keeps him motivated to keep working hard. It’s nice to know that he has workouts he can do on a daily basis and you can do them at home on your own hoop if you can’t get into a gym!!! Thank you Jon for this app it’s amazing. © Copyright (c) 2018, Blueprint Athletes, Inc.